The oceans of Kerbin must be full of life. We intend to find it. 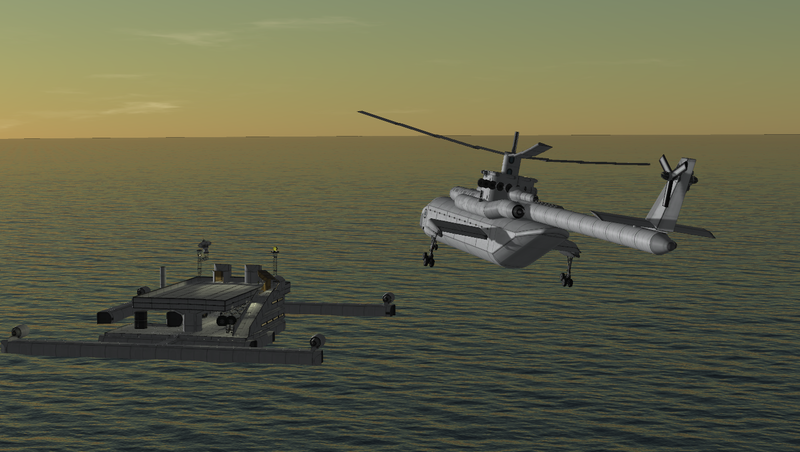 This is a self-propelled platform with a dock, small scouting ship and helicopter landing platform. A drone car can be used to transport science and cargo from/to the helicopter for transport.